The terrorists of Jaysh Al-Islam are in a most precarious position today. This is evinced by their frenzied theft of medical and pharmaceutical items as they prepare for the impending clean-up that is coming. The SAA is advancing in every location. Yesterday, the Syrian Army reached the Tishreen Thermal Station killing 12 rodents and wounding scores. Today, the SAA liberated the area between Al-Barza Farms and Al-Qaaboon all the way to Western Harastaa and Dhaahiyat Al-Assad. All main tunnels have been destroyed leaving the rodents with few options to transport their instruments of murder. We can also say with confidence that Al-Barza has been separated completely from Al-Qaaboon. The Saudis in Jordan are reporting to their cockroaches in Riyaadh that the campaign is dying. This is also happening in the south where Americans hoped to stage some coup establishing a new enclave linked to both Jordan and the Zionist Abomination. That is not going well, at all. 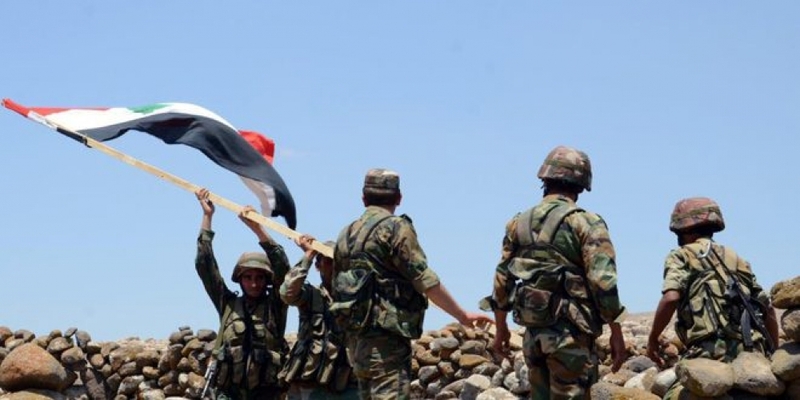 Yesterday, the SAA pounced on a grouping of rodents on the Dam Road and the Naaziheen Camp destroying a fixed anti-aircraft cannon, a pile of machine gun magazines and a mobile satellite communications truck. The same occurred south of Al-Karak at the water reservoir. Nusra/Alqaeda, now commanded directly by the Zionist Obscenity, found itself surrounded after it attacked several SAA outposts. I have been informed that the terrorists took heavy casualties. At Al-‘Abbaasiyya, Haarat Al-Badw, Haarat Al-Hammaadeen, 3 pickups with 23mm cannons were destroyed along with one rocket launcher and 19 rodents killed. At Nasb, the SAAF killed the spokesman for Ahraar Al-Shaam, one Usaamaa Nasrullaah Al-Shareef (a/k/a “Abu Zayd”). And at Dayr El-Zor, ISIS has begun to fight itself over territory. At Al-Maqaabir (Cemeteries), the SAA killed 21 rodents. At Khashshaan, ISIS has begun a campaign of kidnapping women and children as punishment for not supporting their cause. It’s becoming a real mess as the U.S. continues to slaughter innocent civilians in Al-Raqqa with barbaric aerial assaults. So what is going on? The Russians seem most phlegmatic these days. Imperturbable probably because the war is going their way. In Afghanistan, it appears that Russia has decided to up the ante on Trump by making the American presence there even more untenable. Some U.S. Army commander has “suggested” that Russia is now supplying the Taliban with arms, both medium and heavy, to use against the so-called “coalition”. Is it possible the Cold War is back? I’m afraid it looks that way. Donald Trump, even more inept than Obama, is igniting a conflict which is starting to resemble those decades of old when the CIA and KGB were trying to do the other in in novels written by John LeCarre, Len Deighton, Graham Green and Ian Fleming. Trump’s attack on the airbase at Al-Shu’ayraat will be his last. Oh, there will be more false flags set up by the French (unless Marine wins) or the British, yet, we don’t suspect Trump will test the upgraded air defenses once more in the airspace over Syria. Somebody must have told him that the Russians won’t tolerate this again. Somebody must have told him that his Tomahawks didn’t work terribly well when they hit a backwater airbase used to store bombers in disrepair. Trump is flirting with disaster as he ramps up the rhetoric over North Korea and Syria and uses meaningless super-bombs over the heads of a few ISIS apes. This president is as mercurial as we thought, only, he is shifting his policies to such an extent that we can now comfortably call him a liar. As the war in Syria wears on, so does the landscape change. The Syrian Army is on its way to Khaan Shaykhoon, that same town where the most recent false flag event was waved. Despite the balanced opinions of true experts, the U.S. continues with its shenanigans and lies with the unqualified support of the Deep State and the prostituted corporate media. It is obvious that a lesson must be sent to Mr. Trump who treats his failures like water rolling off a duck’s back. If he learns a lesson, then, so be it. If he doesn’t, maybe his lieutenants will have the intestinal fortitude to tell him that he must back off policies which could lead to his own immolation. 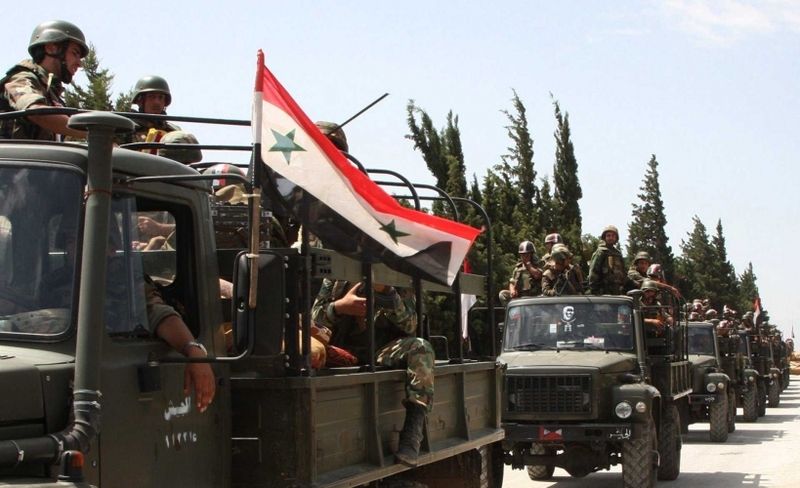 The army in Syria has concluded many agreements with former rodents thus releasing tens of thousands of new troops for new fronts which need the full attention of the Ministry of Defense. With Hizbollah now leaving border posts to the Lebanese Army, expect the fronts in Idlib, Der’ah and East Homs to heat up to critical mass. And Iran is boosting its presence with new proxies arriving to aid the SAA. It looks like the war is going to slow down appreciably over the next 4 months as the murderous rodents start to realize that the afterlife may not be worth all this hurly-burly. Did the Saudi regime offer to pay the United States to invade Syria? You bet your bippee. Thanks, John Esq. بدفع خليجي ـ صهيوني.. معارضون سوريون يؤسسون منظمة “سوريون ويهود من أجل السلام”!